What have the Italians ever done for us? The history of British representations of Italy, and appropriations of Italian culture, is a rich and enduring one. From Shakespeare’s use of Italy as a metaphor for addressing the social and political issues of the day, the aristocratic grand tourists of the 18th century, the centrality of Italian models for architects and painters such as Wren and Turner through to the 21st century tourists and travel writers who quit Britain for Chiantishire, Italy has meant very different things to different groups at different times, albeit in ways that demonstrate underlying and recurrent patterns. This lecture draws on cultural sociological ideas and ways of thinking to critically reconsider these patterns, the questions leading out from them and what this means for Anglo-Italian cultural relations today. The questions are as follows. Why have Italy and the Italians been understood and represented in such wide-ranging and often contradictory ways over time? How have representations of Italy and the Italians informed British cultural identity? And what can the history of British representations of the peninsula and its people tell us about Britain’s relationship to Europe more generally today? 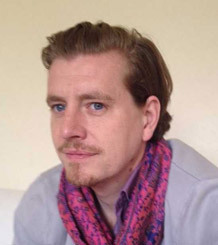 Dr Christopher Thorpe is a Lecturer in Sociology at the University of Exeter. As an undergraduate student he spent his summers ‘working’ on a campsite at Lake Garda. His research interests concern the sociological analysis of culture generally, and the history of Anglo-Italian inter-cultural exchange specifically. His forthcoming book, published by Routledge, is a cultural sociological analysis of British representations of Italy from the English Renaissance to the present day. We have decided to name our June lecture each year in honour of our former Chairman (2005-15), who passed away in April 2018. This will be the first Charles de Chassiron Memorial Lecture. Members who wish to attend the AGM at 6.30pm, but not stay for the lecture at 7pm, are not required to pay a fee or book online. But they are requested to contact the Secretary by e-mail or telephone to confirm their place.